Shredding your documents must be done securely, quickly and cost-effectively. Completing this task internally can be tedious and time-consuming, potentially compromising yours or your clients’ security. With In Confidence, you can rest assured that your paper shredding will be done to meet your expectations and more. We’re taking an in-depth look at the shredding services offered by In Confidence in Melbourne. If you are planning one big, office cleanout, it can be a daunting task but it’s certainly worth doing semi-regularly. 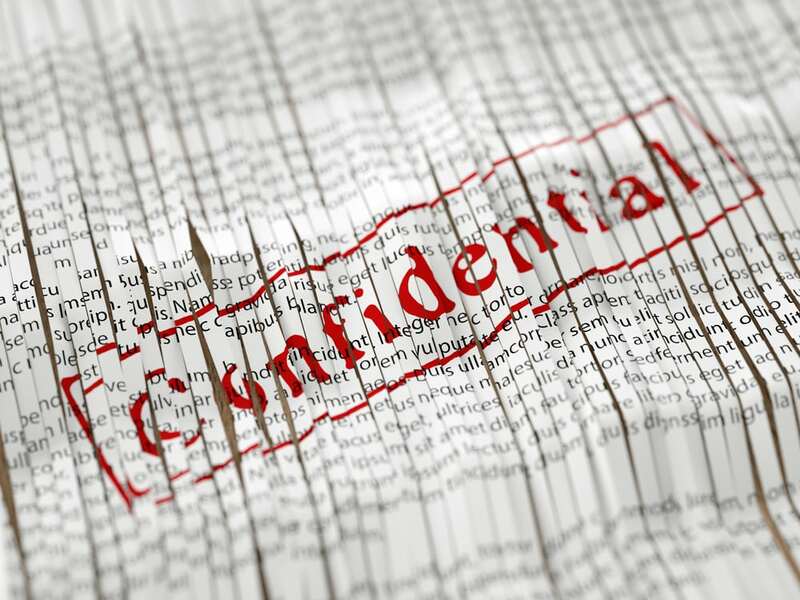 In Confidence provides office cleanouts where we will assist you in clearing out old documents that may hold private information. We’ll help you achieve a cleaner, more efficient office. In Confidence also provides a regular, scheduled shredding service so your documents don’t pile up and become overwhelming to dispose of. We make collections according to the needs of your Melbourne business. You have the flexible option of document collection and shredding weekly, fortnightly or monthly, depending on your individual needs. Many industries benefit from having a Certificate of Destruction provided to them because should someone allege that their privacy has been compromised, you will have official proof that those documents were securely and safely disposed of. A Certificate of Destruction gives you the peace of mind you need to ensure that you’ve not only complied with industry regulations and destroyed personal information but you also are in possession of documented proof, should it be needed. While document destruction is our first priority at In Confidence, we also pride ourselves on our eco-friendly means of recycling waste. All documents that are recycled are shredded first and we are committed to ensuring that your documents are destroyed efficiently. We then work with Planet Ark to ensure over 95% of our shredding is recycled. Only contaminated waste is not recycled, according to health and safety regulations. If you are in the possession of old hard-drives, computers and devices, it is safer to use a professional to dispose of these objects. Simply throwing away an electronic device means you are relinquishing ownership of it and any found data can be used against you. In Confidence will collect your hardware and use the most environmentally friendly means available to completely destroy it. No matter what your business needs, we have a secure shredding solution for you. You can trust that In Confidence will dispose of your private documents with the utmost security and care. Once the job is completed, we will issue you with a Certificate of Destruction for your records. For any further information or to book your shredding service, contact In Confidence online today.